During the 1970s, when rock and disco ruled the airwaves and rap became the weapon of choice at block parties, Lloyd “Bullwackie” Barnes injected the reggae element by stealth. Operating from a series of low-rent premises in the Bronx, Bullwackie made reggae a viable part of the city’s Nubian underground. His Wackie's record label never achieved mainstream success at home, but the suitably stoned, yet tension-laden sound he crafted with local dreads and visiting Jamaican legends proved highly influential overseas, where the languorous and overwrought rhythms ultimately stoked the creative fires of acts like Rhythm & Sound and Massive Attack. A later link with Overheat Records made Wackies the sound of choice for Japanese reggae heads in the early dancehall era, as the label embraced the harder edges of digital production, and although there have been some fallow periods, Wackies remains the ultimate survivor of the New York reggae scene. Born in Kingston in 1944, Lloyd Barnes was raised in Trench Town, where Peter Tosh, Alton Ellis, Ken Boothe and Toots were among his close friends. 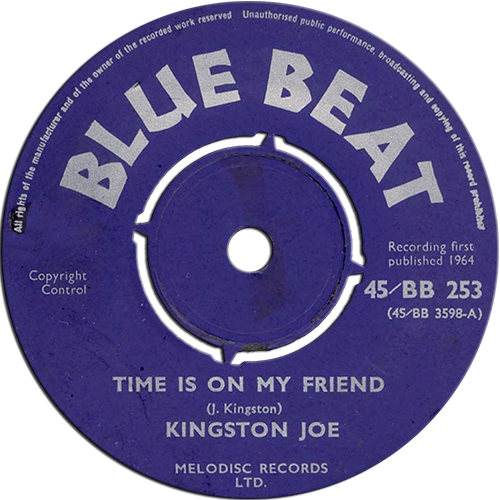 He voiced material for Prince Buster as a teen, including Time Is On My Friend (credited to Kingston Joe), but moved to New York in 1967, just as rock steady supplanted ska back home. The Barnes family moved from East New York to Harlem, before finally settling in the Bronx, where he formed a sound system, Bullwackie’s Disco, named after the street gang he was loosely affiliated with in Trench Town. 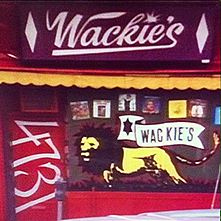 Wackies’ first recording studio was a four-track facility, opened in a damp basement at 211th Street around 1974. Early Wackies productions sometimes modified the creations of Lee “Scratch” Perry, using Perry’s original master tapes, but with overdubbing and remixing executed at Wackies’ HQ. Tracks like deejay Jah Vill’s The Bump and The Heptones’ Revolution are noteworthy examples, and the inaugural Bullwackies dub album, the sparse and eerie Free for All, also used some of Perry’s rhythms. 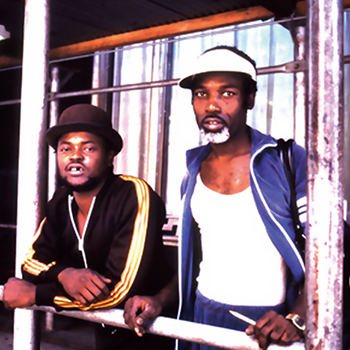 Despite patchy efforts such as Winston Dale’s wobbly Reggae Beat, a mark of distinction was made early on, with Johnny Osbourne’s Jah Children, Ken Boothe’s Stop This World and John Clarke’s Recession all holding exquisite tension, heralding a Bronx slant on the roots reggae idiom, born from the harshness of its streets. Circa 1976, Barnes shifted to a flagship location at 4731 White Plains Road, near 241st Street. An eight-track upgrade was afforded here, and this larger space saw the Wackies sound solidify and evolve, making the late 1970s and early 1980s its most distinctive era. You can hear the more complex, layered result on tracks like Ras Clifton’s Way Over Yonder, and female duo Aminatou’s Runaway Dread, the latter produced with input from Burning Spear. Wackies’ loose collective of musicians were a big part of the evolving picture. Early outfits Reckless Breed and Foe and the Family Steep gave way to visiting Jamaican musicians, such as the expressive keyboardist Irving “Allah” Lloyd of Chalice and multi-instrumentalist Clive Hunt, as well as lead Heptone Leroy Sibbles, who played bass frequently at the studio. Excellent Showcase albums were then crafted, in which each vocal track is followed directly by its dub counterpart, including Keith Hudson’s Playing It Cool & Playing It Right, Wayne Jarrett’s Mini Showcase and Horace Andy’s Dance Hall Style, an echoing masterpiece that contained the paranoid Spying Glass, which was later adapted by Massive Attack. Sugar Minott’s 1983 effort Dance Hall Showcase Vol II was probably the first to point towards the new style that would soon wipe roots reggae from the racks. Though the quality of his material was always high, having no external backing or major-label link meant Bullwackie had to sell the work piecemeal, typically pressing 500 to 1000 copies at a time. When things got tough, he adapted, even giving up his home at one point, sleeping in the studio’s drum booth. Then, following the sale of the White Plains Road building in the late 1980s, Bullwackie retreated to Inglewood, New Jersey, where he established a 16-track facility. He cut noteworthy vocal and dub albums there with Max Romeo, Lee Perry and Japanese experimental duo Mute Beat, though some found the digital style somewhat clinical, lacking the disjointed warmth conjured at the earlier space. Mastering work for Japanese label Overheat became the chief focus, with relatively little new output. A few years later, Wackie moved to Jamaica to work at Sugar Minott’s Youth Promotion studio, but swiftly returned to New York when his mother became ill. He then worked briefly from a home studio in Queens, before establishing a new computerised studio farther up White Plains Road, this time at the corner of 222nd Street, where he cut sparse work with ex-Mute Beat trumpeter Kazufumi Kodama and a range of unknown hopefuls from Japan, such as Ras Takashi and Ras Kanto, as well as material with upcoming local artists. When Berlin’s Rhythm & Sound linked with Bullwackie circa 1998, they brought the Wackies element to a whole new audience, especially after their reconfiguration of the Chosen Brothers’ 1979 spacey gem Mango Walk as the downtempo Mango Drive. The reissue campaign they initiated brought belated validation, as the Basic Channel editions sometimes sold more copies than the original Wackies releases, which underlines the underground status accorded the label in the States. In December 2008, Bullwackie opened yet another studio on White Plains Road, this time a small space near 225th Street. Whether anything noteworthy shall surface from the latest HQ remains to be seen. But with luminaries such as Milton Henry, Claudette Brown of the Love Joys and percussionist Ras Menelik DaCosta forming regular presences at the place, chances are that we’ve got more enthralling and distinctive sounds to look forward to.